This week on the show we're focused on the Tavistock style social engineering tactics that have been imposed upon western society, their origins, their modern manifestations and their effects on different generations over time that have been exposed to them. Join us for some laughs, some face-palm moments, some enlightening context to where we find ourselves in this place in time and history. The gang lays out the pitfalls of ... See More "blue-pill," "normie life," some James Bond trivia, Hollywood analysis and an ice breaker likely to make you cringe. 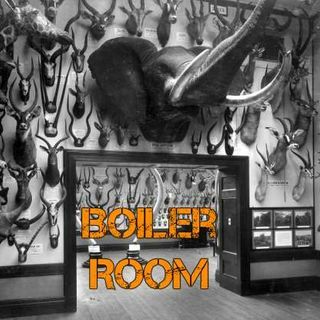 Join ACR hosts Hesher and Spore along side Jay Dyer & Jamie Hanshaw of Jay's Analysis and FunkSoul & Randy J (21WIRE & ACR contributors), for the hundred and seventeenth episode of BOILER ROOM. Turn it up, tune in and hang with the ACR Brain-Trust for this weeks boil downs and analysis and the usual gnashing of the teeth of the political animals in the social reject club.